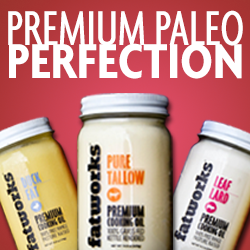 Paleo Desserts - To Eat or Not To Eat? The question that I see come up time and time again is "Is a Dessert REALLY Paleo"? By desserts most people are referring to baked goods and treats such as cookies, cakes, muffins, pies, etc. It's a good question and one that has some strong opinions on both sides of the matter. So strong that some folks get quite furious about the subject. People take dessert very seriously, whether they actually eat it or not, and that is especially the case in the paleo community. So let's take a look at both sides of the argument, shall we? The great paleo dessert debate! Paleo desserts give the paleo community a bad name. It makes it look like that is all we eat every day! Nutrients are nutrients, as long as they are of a high quality, who cares if they are shaped as a dessert? Are you even more confused now? Some of these arguments are valid, and some a little ridiculous. Should you eat a paleo dessert every single day? Really nobody should eat a dessert every single day, paleo or not. But there are some occasions that generally call for desserts, such as a birthday party or a stupid office picnic that everyone hates going to and somehow you get volunteered to bring cookies..... and make sure the kids don't violently pummel each other in the bounce house... and then you are forced to help clean up afterwards. But I digress. "I believe the paleo lifestyle is about eating the primitive way in the modern world, and sometimes the modern world expects you to cook a pumpkin pie or bring cookies." The answer is, there really isn't a right answer. Each of our bodies are different and each of our bodies handles foods differently. If your goal is to lose weight or regulate your insulin levels, then eating a lot of sweets and baked goods is probably not going to help you reach your goals. If your goal is to be more real-food focused but also allow yourself some indulgences, then occasional desserts might be OK for you and your family. Only you can make that decision. My advice is, if you don't believe that desserts are allowable on a paleo diet, then don't eat them. Nobody but you can say what is right for your body. If you do choose to eat desserts, I would advise you to eat a couple cookies or one slice of cake, not the entire cake....just like like I would advise you eat one piece of steak and not an entire cow. Don't go overboard and pay attention to your body and how it reacts to what you eat. There is plenty of room in paleo-land for people who want to eat desserts and those that choose not to, and it would be a much friendlier place if we just accepted that. At the end of the day, we should all just mind our own plates and do what works best for OUR bodies. So where do you stand on the paleo dessert issue? Is there room for dessert in the paleo lifestyle? our entire gym went 30day straight Paleo challenge. overall it went well then everyone found dessert recipes and it seemed like they were now replacing meals with desserts without the understanding, sure raw honey is better for you but its like rob w. said sugar is still sugar and our body still recognizes it that way. so it seemed like they wanted to replace the crap with something somewhat healthy. at the end of the day it really is crap.